Hi Friends! Please drop by Trinoma on the 25th of November from 12:00pm - 7:00pm as me and fellow bloggers Aisa Ipac, Ana Gonzales, Seph Cham, Shai Lagarde and Katrina Tan exhibit our own DIY-ed YourShu designs! 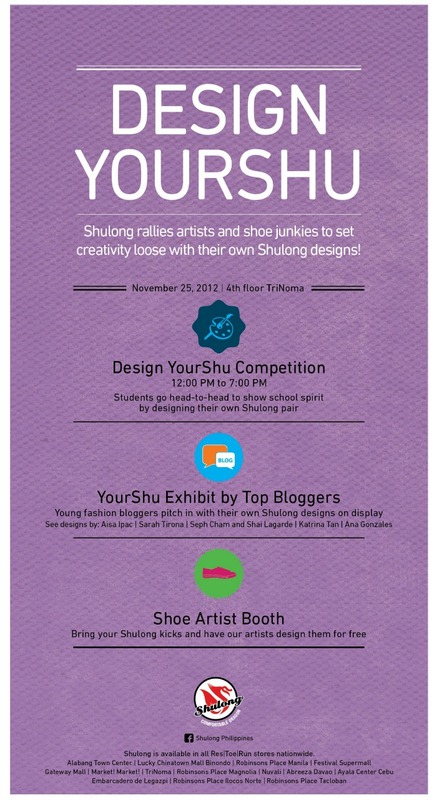 We will also be judging the YourShu competition for students on the same day. Also, bring your Shulong kicks and have them designed artists for free!! !